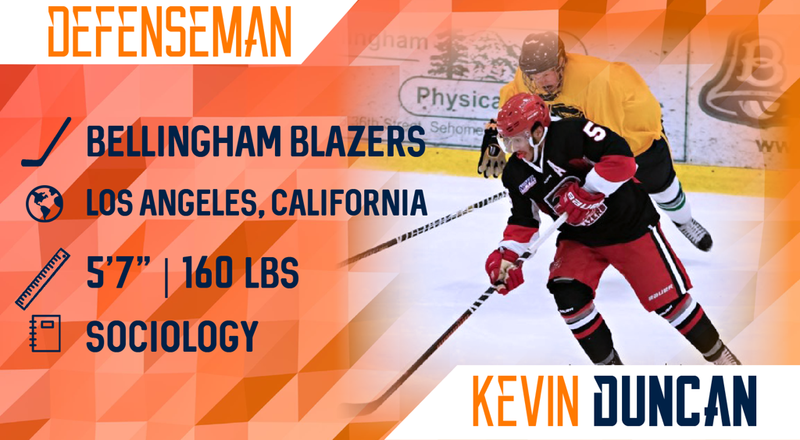 Join us in welcoming the newest addition to the Miners Hockey Club roster, freshman Kevin Duncan from Los Angeles, California. I chose UTEP because I felt it fit my academic needs along with playing hockey. I'm really looking forward to the college hockey lifestyle of studying and playing hockey for the next few years. My favorite hockey memory is the 2012-2013 Cascade cup finals. I started playing when when I was about 7 years old. I really try to model my game after Drew Doughty. A very reliable 2-way defensemen who can be put out on the ice at any point in the game. I enjoy playing basketball and football to kill time away from the rink.